Summer is coming, and that means fun, freedom, and sunshine. With three whole months of nothing but relaxation, you could do just about anything. However, as teenagers, we really don’t. Summer goals are like New Year’s resolutions: we all make them, but then season three of Rick and Morty comes out and Tumblr calls your name… and summer is suddenly over with you having accomplished exactly none of your plans. While eating cereal at noon and never getting out of bed was fun, it wasn’t exactly productive, and it doesn’t make you feel too good about the upcoming school year. But have no fear, Salem is here to deliver all kinds of tips and tricks to make your summer as awesome as possible in six easy steps. My goals for this summer. I split it up into debate, health, and home improvement goals, plus a bottom section for everything else. I’m planning on adding stickers and doodles later on. You probably already make goals every summer but have you ever gotten them all accomplished? The trick to staying accountable is writing it down. Make a summer bucket list with different colors, fonts, doodles, and anything else that will reflect your unique personality. Then, put it up on your wall or the fridge or somewhere else you’ll be forced to look at every day. This can help you stay on track by reminding you of what you intended to do with your spare time. This is something I always like to do way before the school year ends. I make a ‘days until summer’ countdown to help with scheduling. Last year, I wasted about 15 pages of a notebook writing out every day of summer break, individually, with events and activities, before scrapping it all. To be honest, that kind of thing doesn’t work, or at least not for me. However, calendars, are nifty tools I hadn’t made use of until just this year. You can do this with a real calendar, or just use the one on your phone. Fill in events first, but then, look back at your goal list and try to think up some milestones that you can put on a schedule, too. For instance, if you want to lose ten pounds by the next school year, you can write ‘one more pound lost’ each week or so. This can help you stay aware of your plans and keep you from losing it all three days in. Have you ever heard of Studyspo? If you said ‘no’, you probably don’t spend much time on Instagram, Tumblr, and Pinterest. Studyspo is short for ‘study inspiration’, and it’s a community of motivated students who work hard and stay organized all year long. 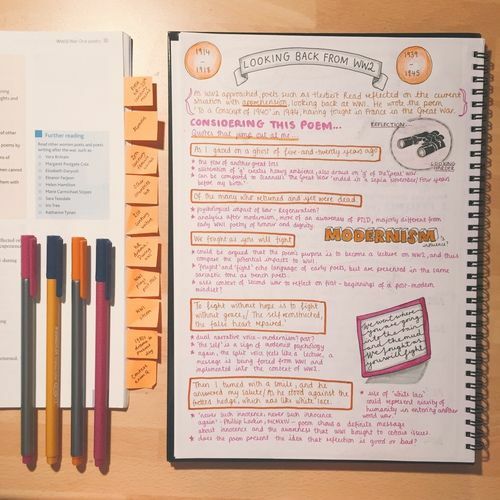 People in the community regularly take photos of their study spaces and notes for class. The phenomenon is all about motivation and organization and can be really inspiring. Before summer, try to look up Studyspo on your favorite social media and see if anything catches your eye. Something a lot of people do in the Studyspo community – myself included – is a weekly, monthly, or even yearly habit tracker. Typically drawn in a grid, this handy tool helps you track all the habits you want to make, and those you’d rather kick. My personal habit trackers typically include taking medication, drinking enough water, reading at least 15 minutes a day, and several others. Other habits you can track include exercising, cleaning your room, or practicing an instrument. 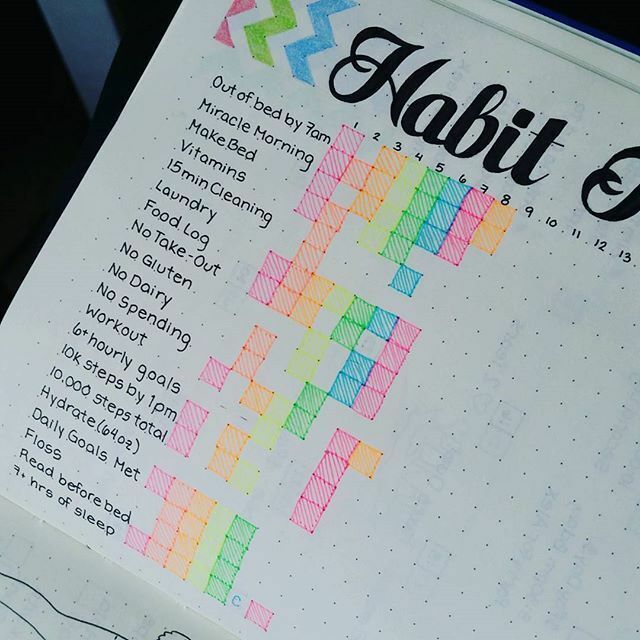 The benefits of a habit tracker are pretty obvious: not only can you make sure you accomplish daily tasks, but you can also have a visual representation of what you’ve done within the time you track, which can make you feel much more productive and satisfied with how you have spent your time. Including this tracker in a journal with your other tools (like your summer goals or your schedule) can be a good idea if you want to keep everything together, which brings us to. An average weekly spread in my bullet journal. the first page is for tasks, events, and recaps on a daily basis, and the second page is for music I love, moods I’m feeling, school assignments, and obsessions. 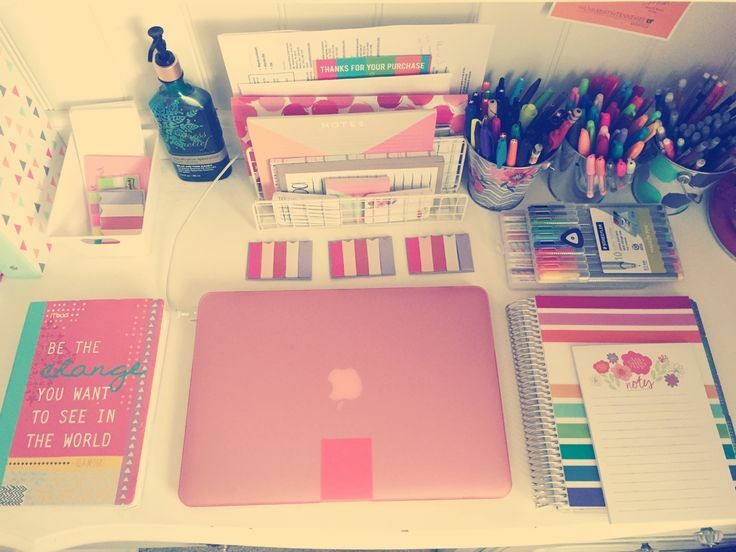 Planners, journals, and diaries, oh my! Words like these carry a pretty bad reputation. Maybe when hearing them you think of a teenage girl in a Disney movie, writing in a book about her high school crush. Maybe you picture a stressed-out soccer mom writing her kids’ games in between scrapbooks. Or maybe you see a middle school protagonist of their own book – like ‘Diary of a Wimpy Kid’ – complaining into the pages of a cheap corporate scheme. These are really just stereotypes. Sure, a lot of moms and little girls journal, but that doesn’t mean they’re the only ones. Planners, more commonly known as ‘Bullet Journals’ (or BuJo) in the Studyspo community, are incredibly useful little books that the world needs to try. Bullet Journal can mean one of two things. Originally, the name was coined by digital designer Ryder Carroll, and referred to his own invention, a dotted journal that sells for $25 a pop. Now, the name has been repurposed to a style of journaling focused on organization and productivity. Some people use Bullet Journals only for weekly (or monthly) spreads; one or two page schedules where they can write to-do’s and reminders. Others fill the pages with goals, quotes, habit trackers, and other things that can help them build momentum. Most people do a mix of both. There is no wrong or right way to journal, as long as it helps you, but if you’re lost on where to start, Instagram, Tumblr, and Pinterest all have a lot of examples to keep you inspired. BoosterBuddy is a really cool app that helps you stay motivated even when you’re feeling particularly depressed or sluggish. Great for people who struggle to get motivated to move during the summer. Momentum is actually an extension on Chrome, so if you have a computer, consider setting this up on your browser. It turns your ‘new tab’ page into a pretty to-do list, with the time, pictures of nature, and a daily motivational quote. It’s hard to explain just why this is great, so try it out for yourself! Plant Nanny – Countless times, I have been so unmotivated to take care of myself that this app is the only reason I drank any water at all. Plant Nanny lets you choose a digital plant to raise as you drink water. It’s forgiving to those who can never remember to drink enough, but still pressures you to meet your goal every day. Duolingo is both an app and a website that has basically saved my life in regards to linguistics, since I’m taking both Spanish and German at school and learning several others independently. It turns learning a language into a game, and it’s a must-have for anyone hoping to get ahead on languages this summer. Sleep Cycle – This is an awesome app for heavy sleepers. It tracks your sleeping habits and figures out the perfect time to wake you up based on your REM patterns. If you have a certain time you want to wake up every day during break, this app is crucial. Realistically, there are infinite tips and tricks I could’ve provided, and these barely scratch the surface. Maybe some of you know more efficient, productive, or easy methods that are a lot better than what’s on this list. If you’re interested in joining a JCHS Studyspo community, post your pictures on Instagram with the hashtag #jaystudies to show the student body how you’re accomplishing your goals. Get inspired; make this summer your best one ever!